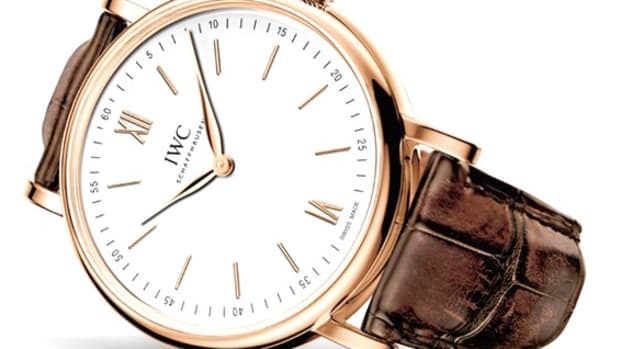 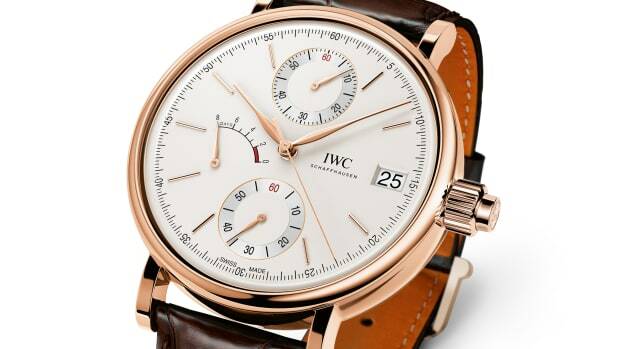 The tuxedo of the IWC lineup receives a serious set of complications in the new Portofino Hand-Wound Day & Date. 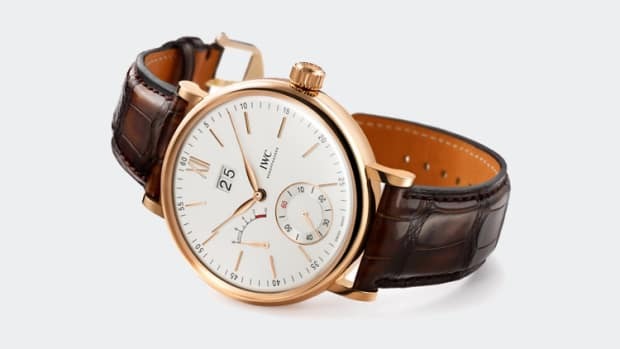 The watch will come in two 45mm models: a stainless steel edition with a silver-plated dial, rhodium-plated hands, and indexes and a 18-carat gold model with a slate colored dial, gold hands and indexes, and both come with Santoni leather straps. 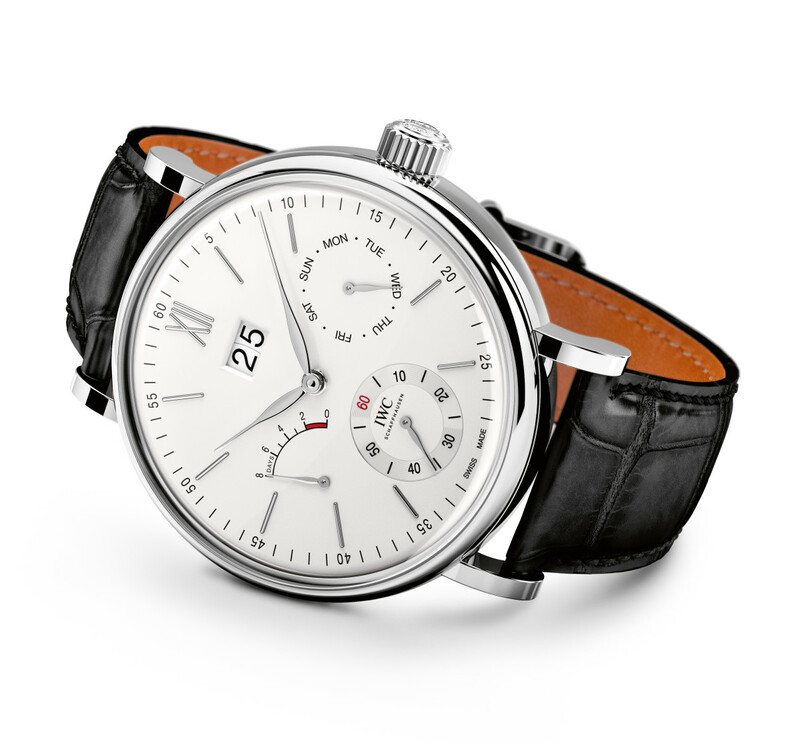 The movement in each of the watches is a hand-wound mechanical, which when fully wound has a power reserve of eight days. 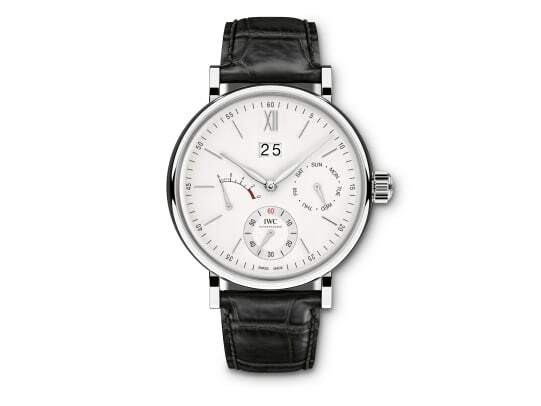 That&apos;s a total of 192 hours and you also get a day, date, power indicator, and seconds complications.